Chatbots is a great way to tap into marketing automation in a way people are receptive to. Email automation can be great but there's no arguing that chatbots have much better engagement. 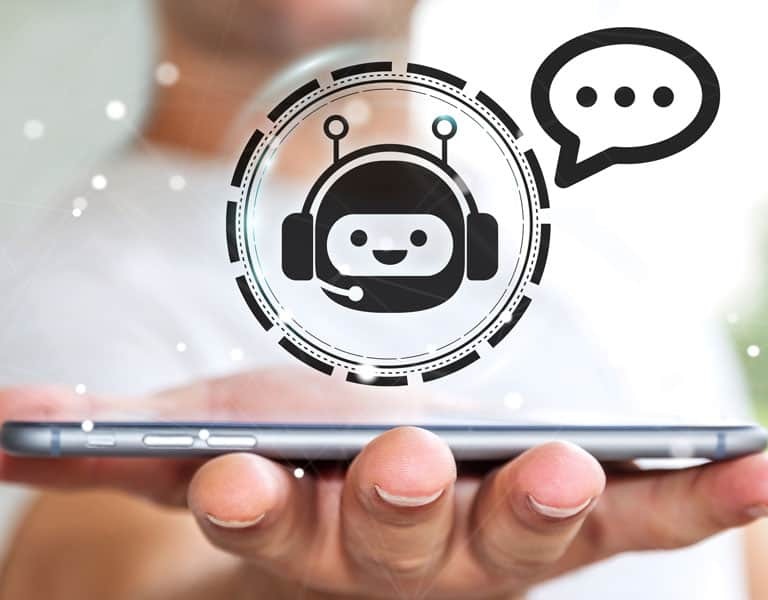 Chatbots are amazing tools to reach your audience, provide them with the information they need, and even qualify leads to save you time and money. There are endless possibilities for how chatbots can help your business on auto-pilot. Sometimes live chat is great for a website but other times chatbots can provide the right solution for your audience. Let's talk to see if a chatbot is the right tool for your business and how we can put lead generation or customer service on auto-pilot. Check out the chatbot on this page to get started. Marketing automation is the holy grail of lead generation, nurturing, and qualification. Up to this point, email was the only thing that was easily automated and it was relatively one dimensional. Chatbots changed that with a depth of interaction that's better than email and is easier to use. They're becoming the new norm for consumers and for business who automate with chatbots, there are huge benefits. We use two platforms where we can deploy chatbots to take the most advantage for your business. Each platform has a different purpose and can be used to accomplish different goals. There can be some overlap but they are both great platforms to deploy a useful chatbot on. Facebook and Facebook Messenger are great platforms to connect with your fans. Chat automations can do a number of different things including lead generation and more. Every day we see a new unique use for chatbots on Facebook. The possibilities are limitless. They can also tie right into ads to bring in more leads and quicker. Just like on this page, you can have chatbots great visitors, direct them to the information they're looking for, or even gather lead information. Chatbots on your website are a great way to automate bringing in new leads and qualifying them at the same time. It's more personal than a form and can provide a great deal more information. There are almost limitless uses for using chatbots to automate marketing. It's a simple way to get information and help people navigate a complex process without being too overwhelming. Because only one thought is presented at any one time, they feel natural and easy for people to use. Here are some great uses for chatbots. Help get people to the answer they're looking for quickly in even the most complex situations. Ask questions and help people get to and buy the right product or service. Before the chatbot even gets started, contact information can be gathered. Chatbots save your time by asking important questions to qualify each and every lead. Chatbots can ask all the important information needed to book your calendar. A person can learn all about your company, who works there, and more all form chatbots. We'd love to learn about your business and discuss how we can be a part of your growth. Fill out this short form and we'll be in touch soon!